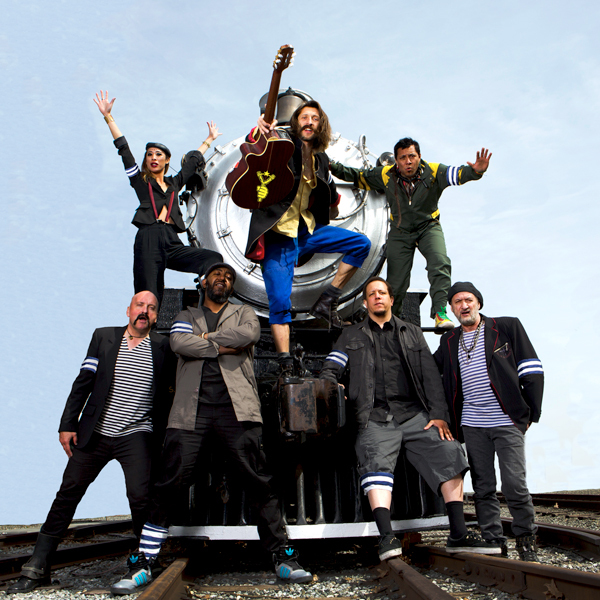 Gogol Bordello‘s Pura Vida Conspiracy World Tour comes to Seattle’s Neptune Theatre on Thursday, August 8th and Friday, August 9th. I’m thinking there were will be 9 band members on this tour, playing instruments from the more traditional rock bass and guitar, to the less traditional in rock music violin. Gogol Bordello’s music is often described as gypsy punk, and while that’s a pretty fair tag, there’s a lot of poetic elements in their songs. New album Pura Vida Conspiracy appears to be the band’s first one co-written by nearly all band members – evidence I can point to as the strength of the current lineup. Follow this link for more details & to purchase tix. Written by: Dagmar on 08/07/2013. This entry was tagged gogol bordello, posted by dagmar. Bookmark the permalink.